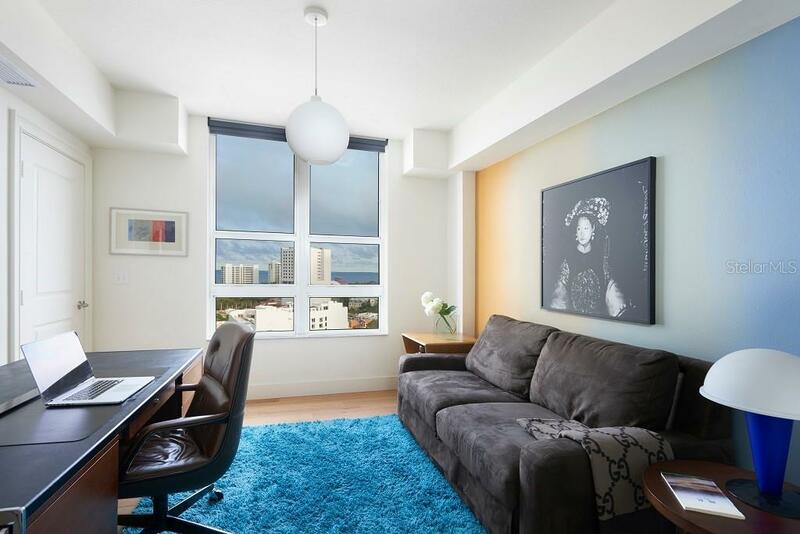 Ask a question about 1350 Main St #1406, or schedule a tour. 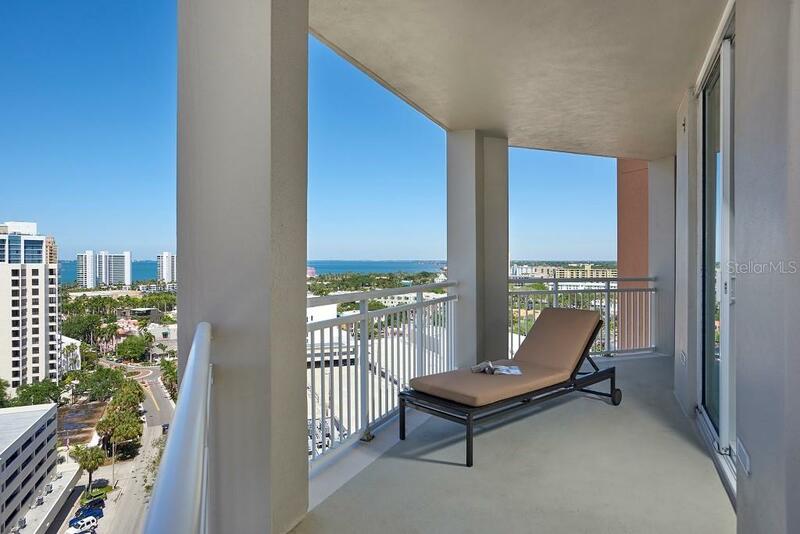 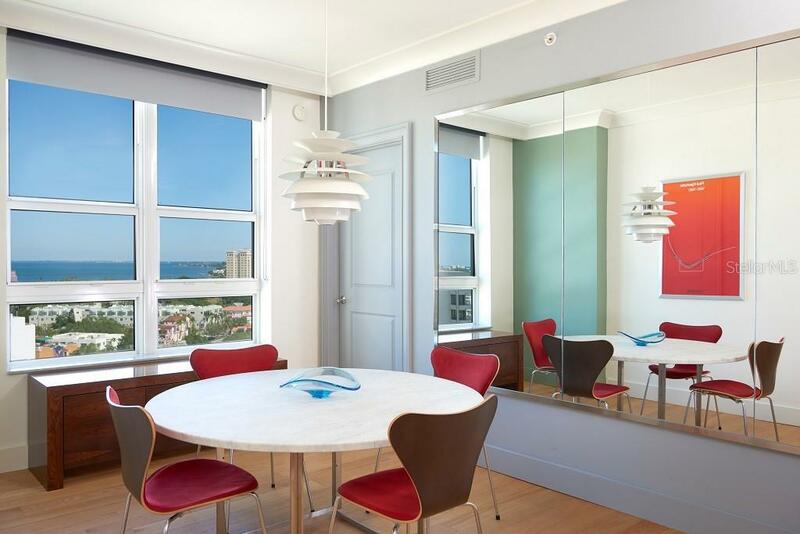 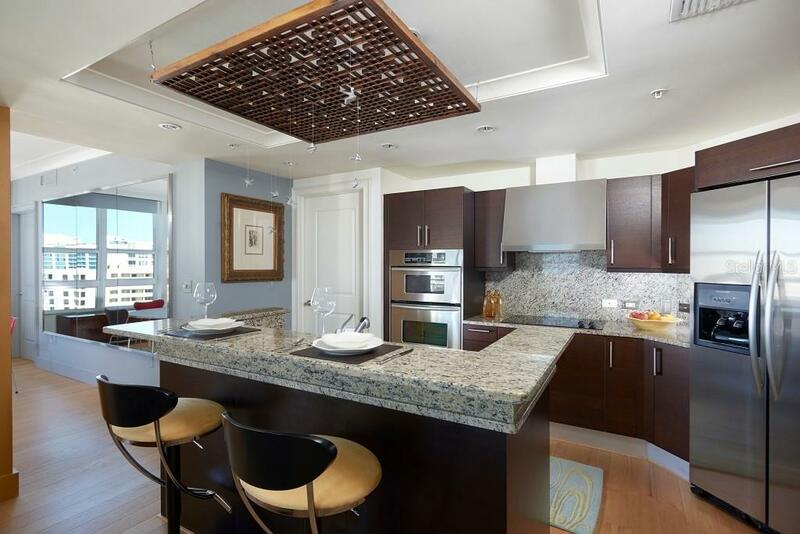 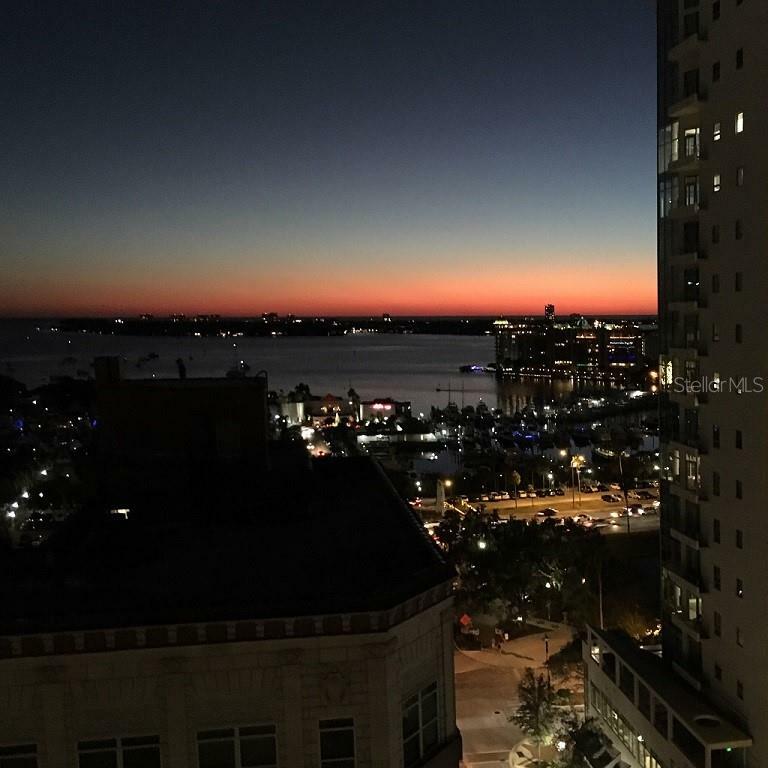 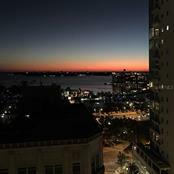 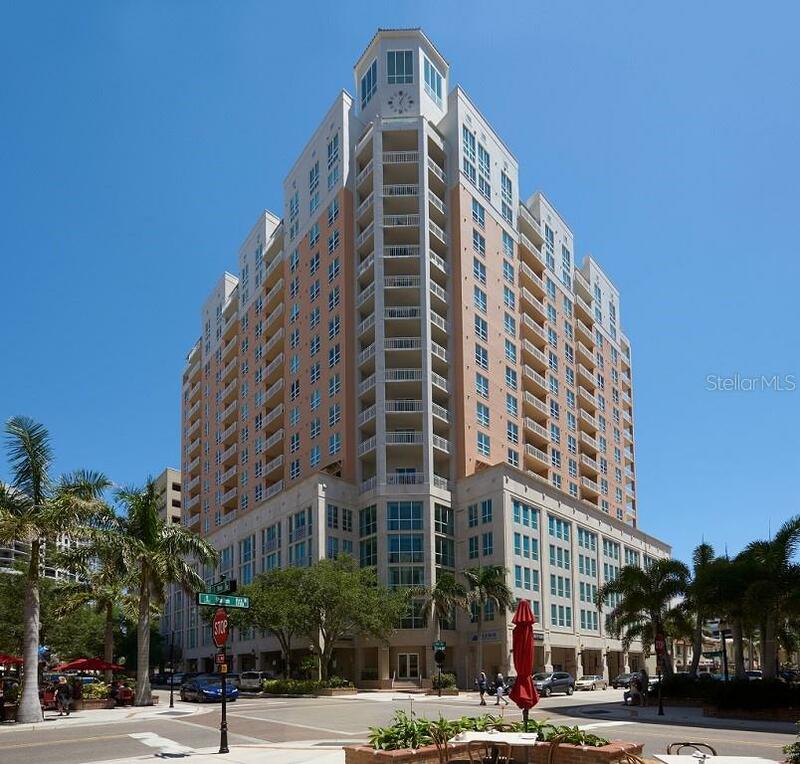 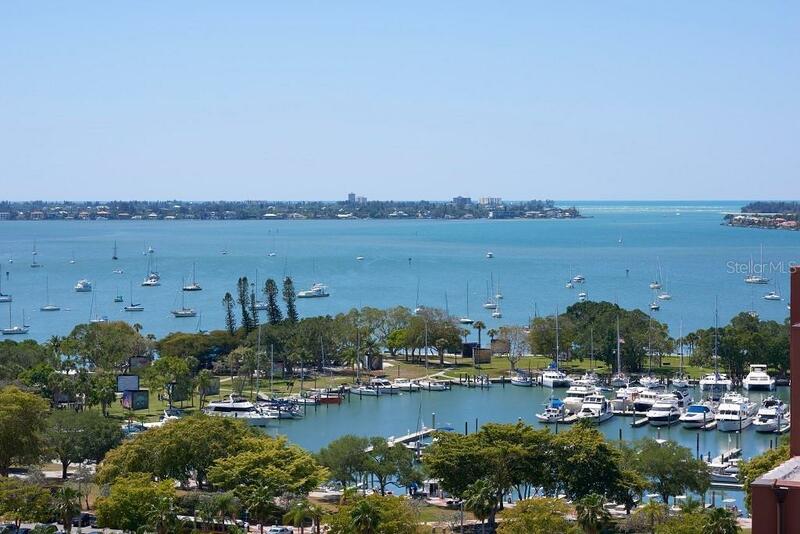 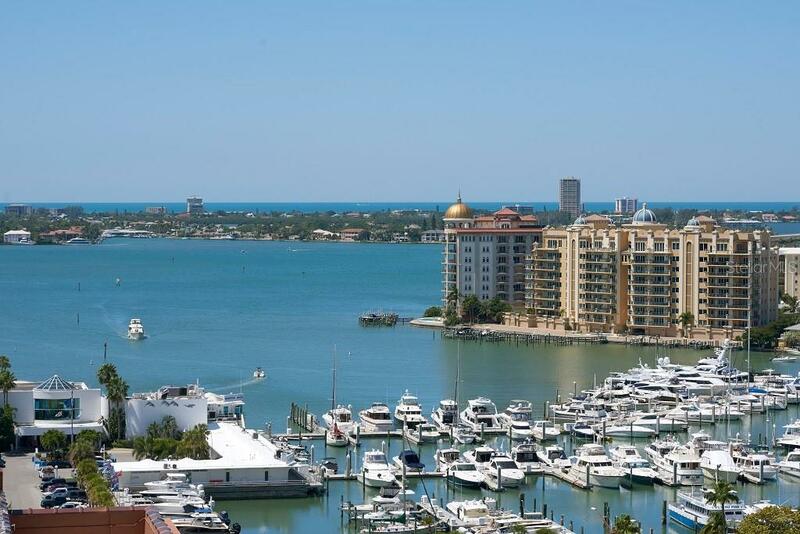 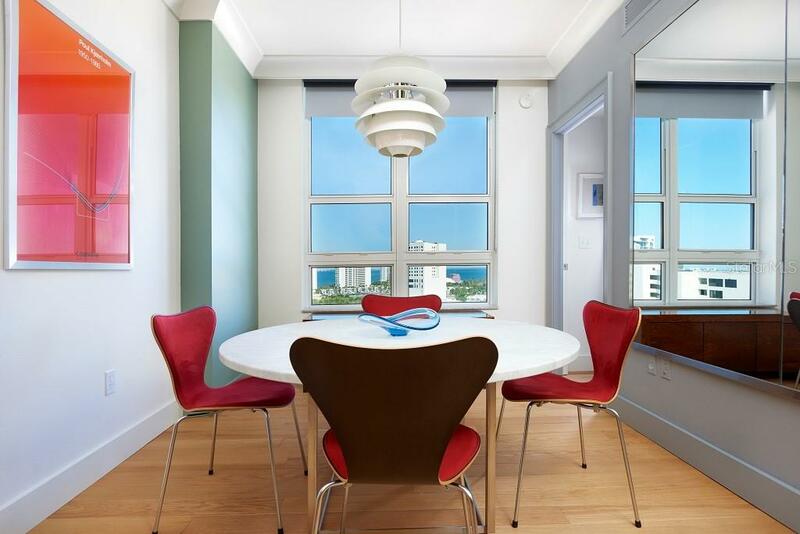 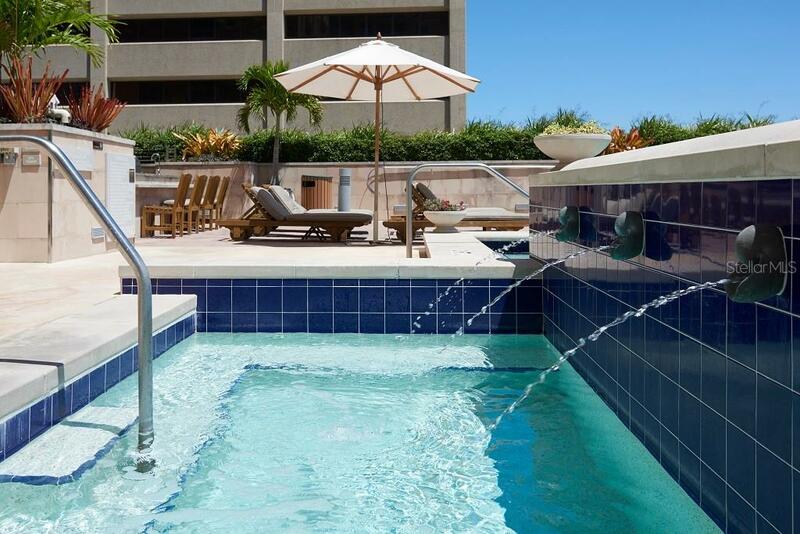 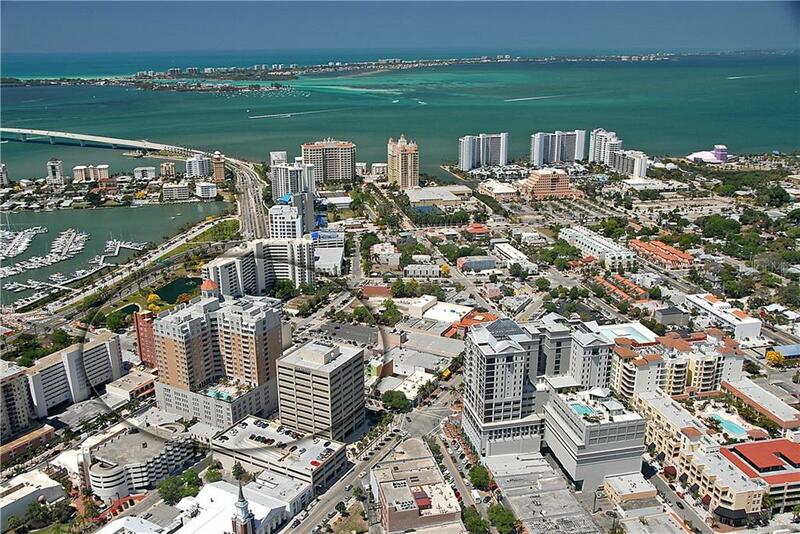 From its vantage point on the 14th floor of 1350 Main, this sophisticated residence showcases breathtaking views that sweep from Sarasota Bay to the Gulf of Mexico. 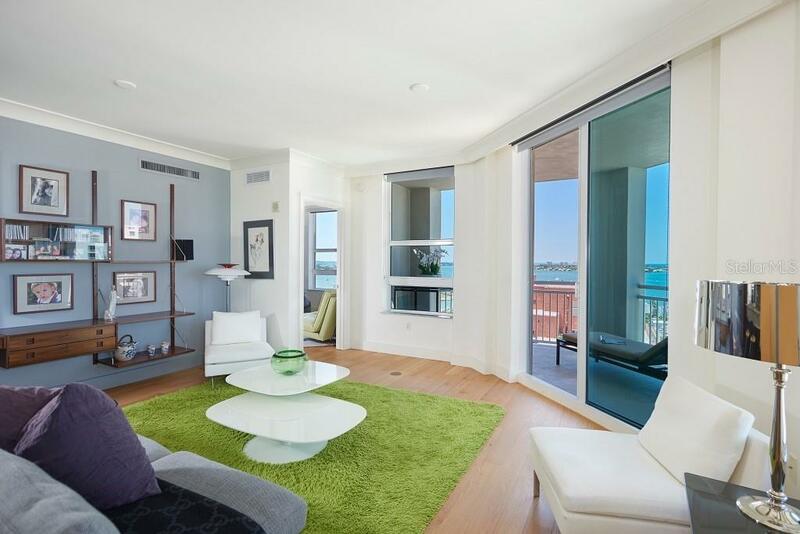 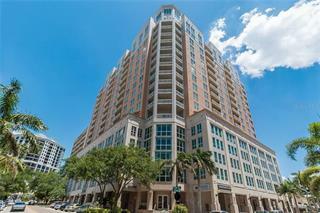 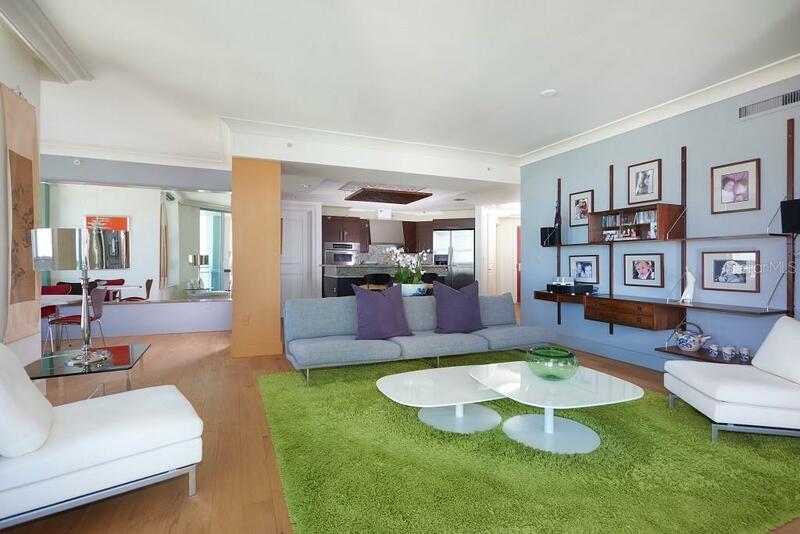 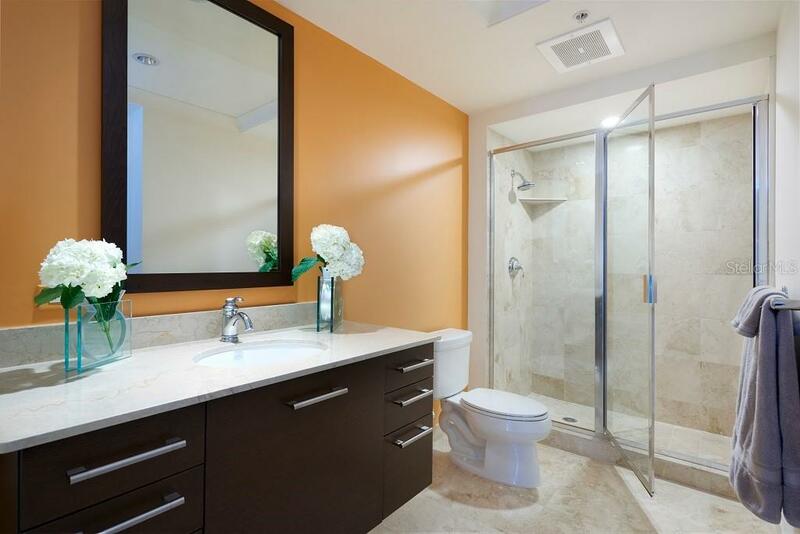 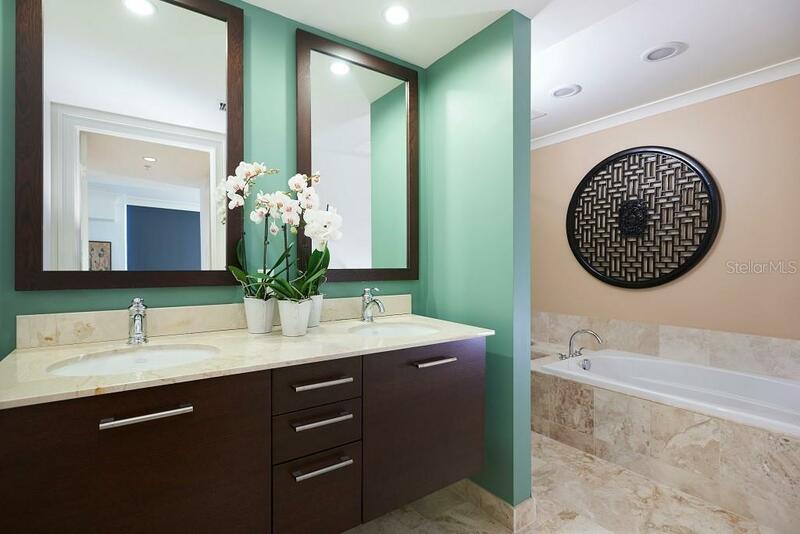 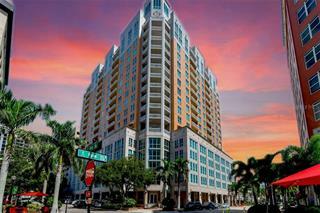 Beautifully updated living areas adorned with contemporary finishes, a... more. 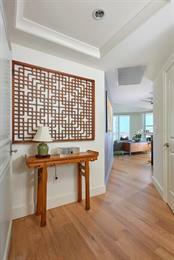 neutral color palette, and light wood flooring create an ambiance of relaxed indulgence. 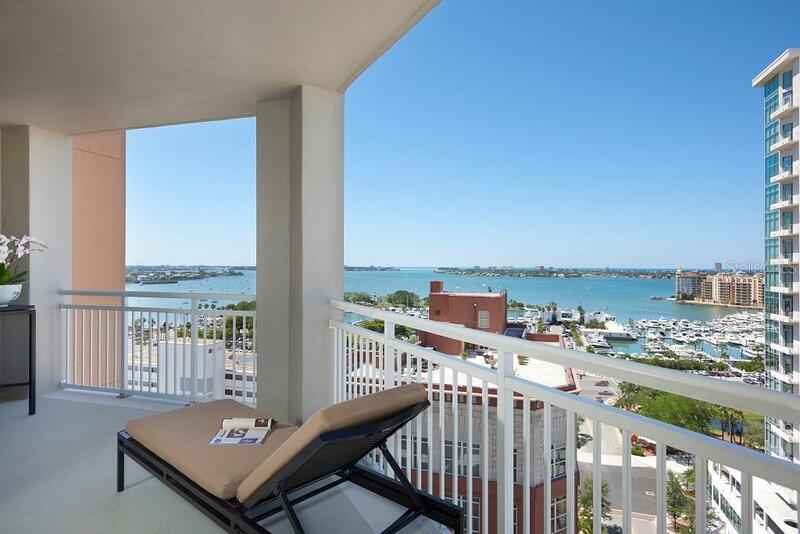 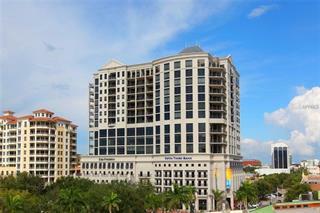 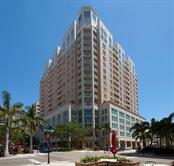 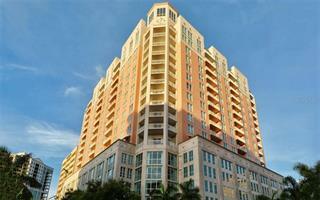 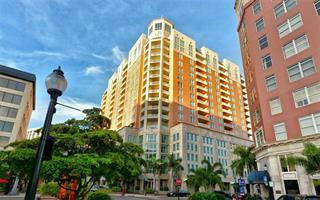 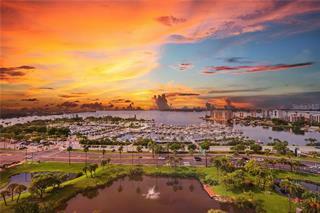 Windows and sliding glass doors with custom shades frame views of the marina and sunsets over Sarasota Bay. 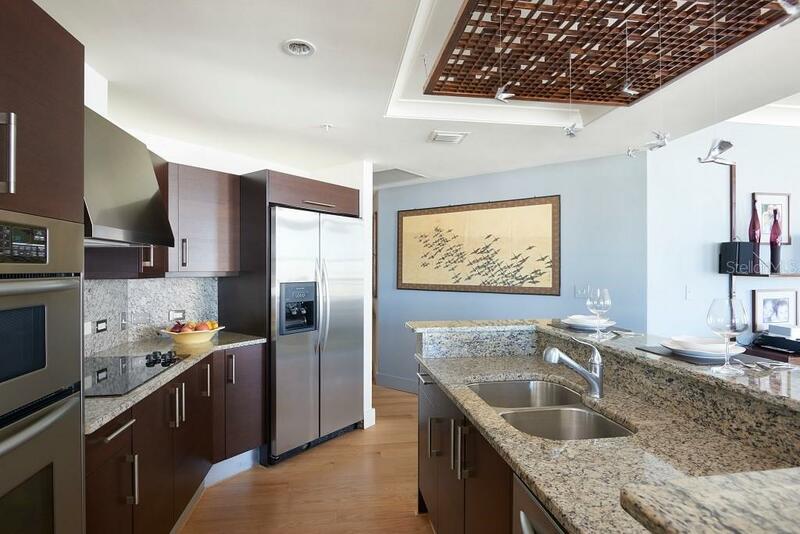 The open kitchen connects you with guests as you entertain and features granite countertops and backsplash, stainless appliances and a range hood that is vented to the outside. 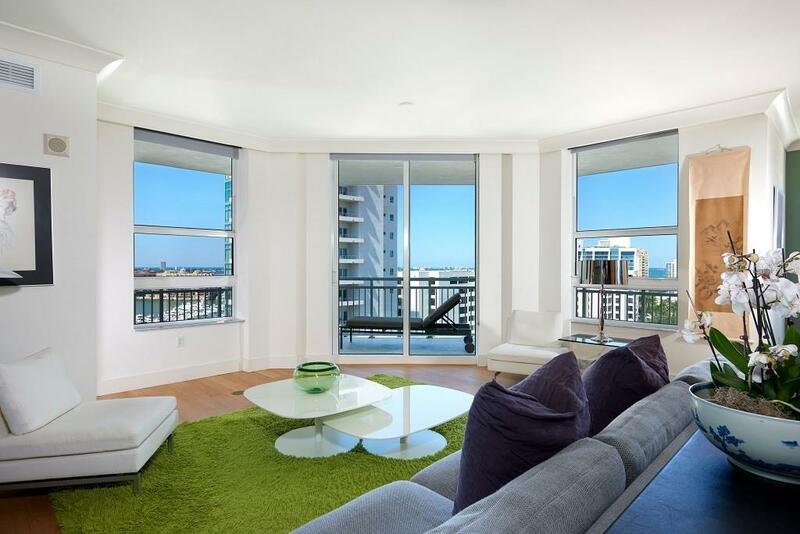 A wrap-around terrace lines the living room, creating ample outdoor space for elegant evenings that spill into sunset. 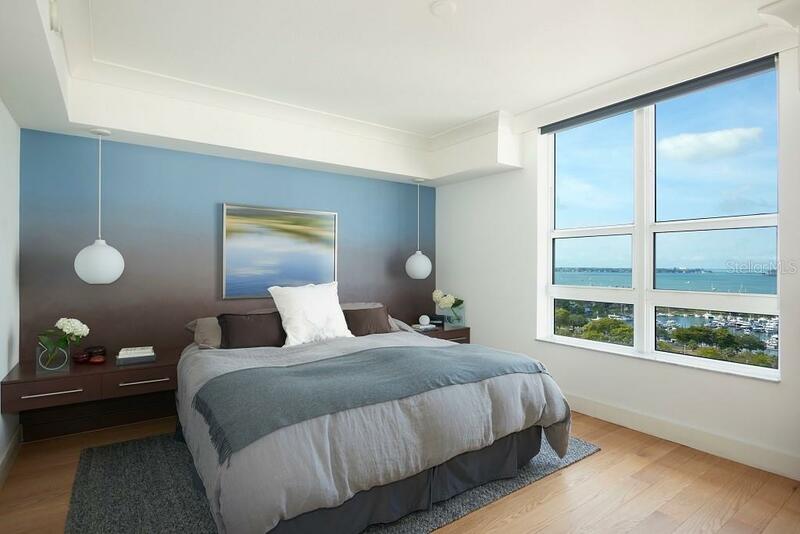 The master bedroom is spacious with signature bay views, custom walk-in closet and spa-like master bath complete with soaking tub and walk-in shower. 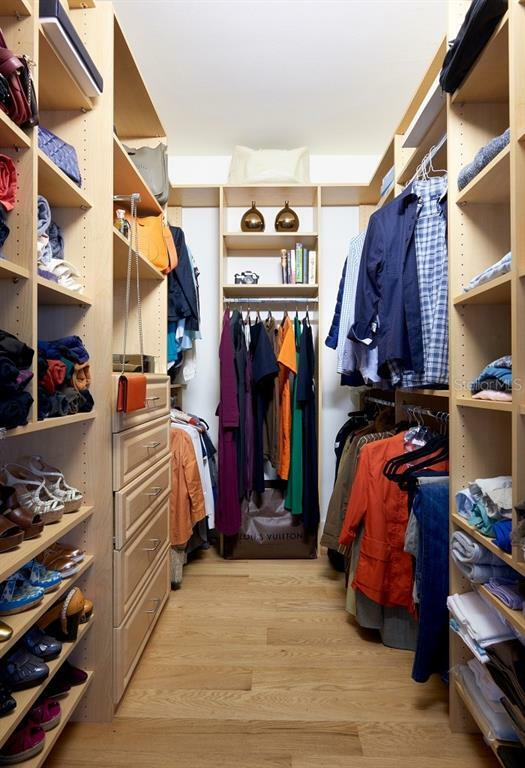 The laundry room has been fitted with the convenience of extra cabinets. 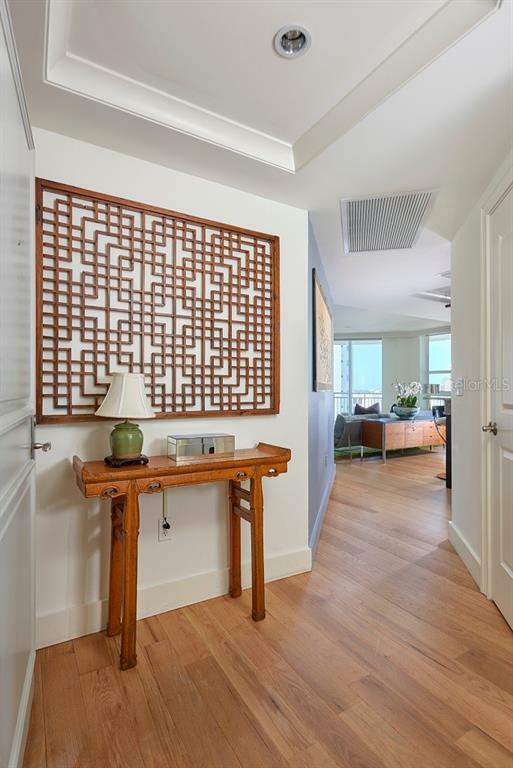 New air conditioning unit installed 2019. 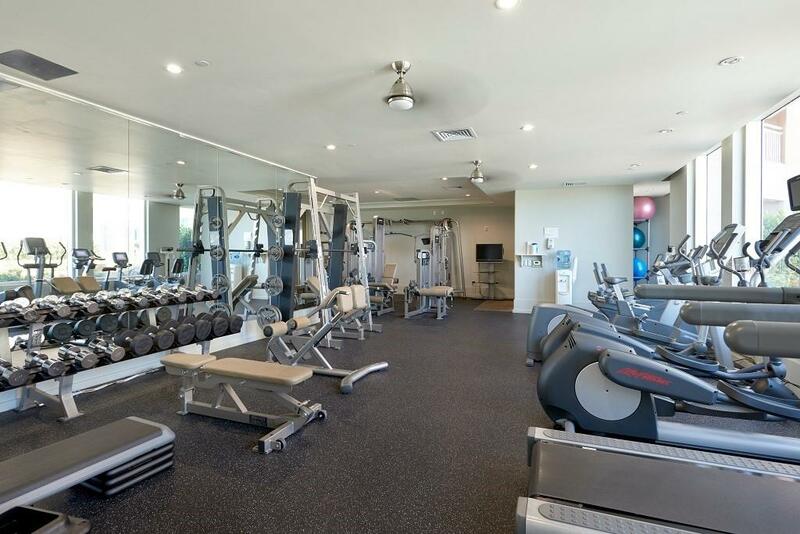 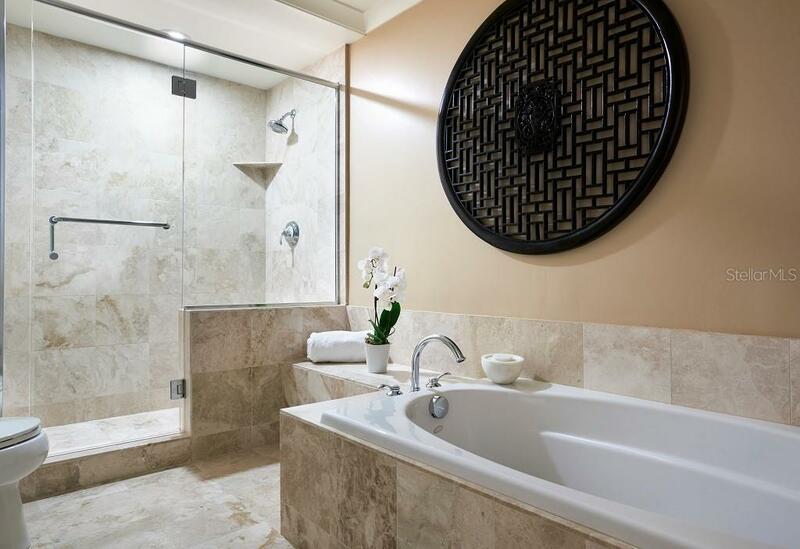 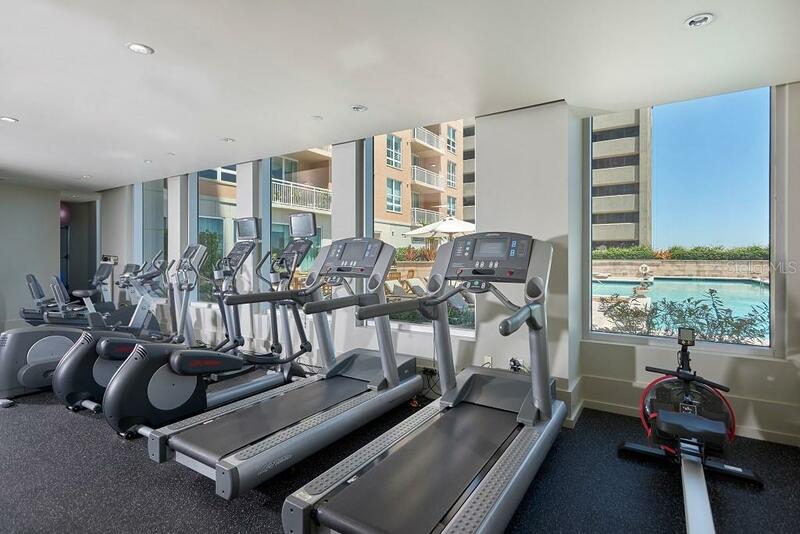 The amenities include secure parking, climate-controlled storage, 24-hr concierge, heated pool, spa, grilling station, guest suite, steam room, fitness gym, library and conference room. 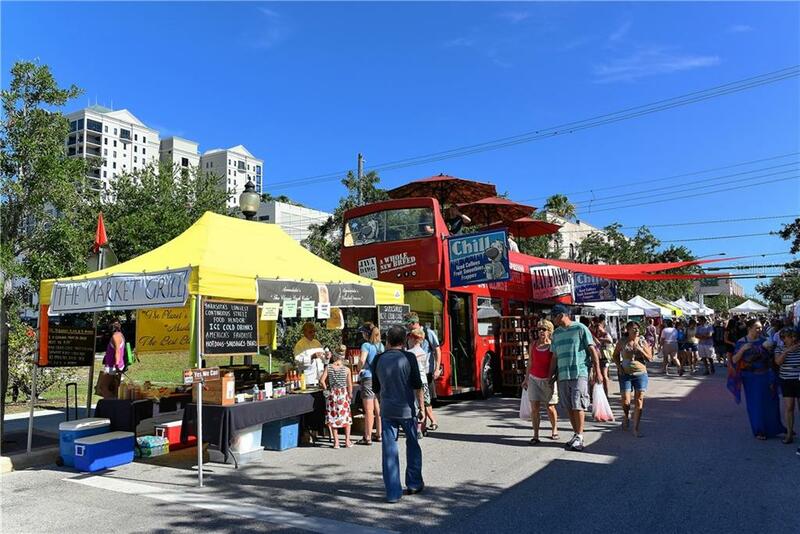 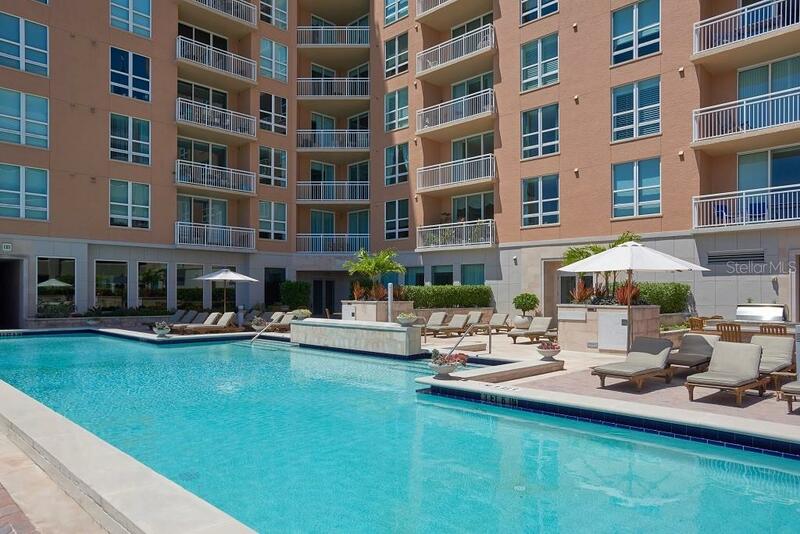 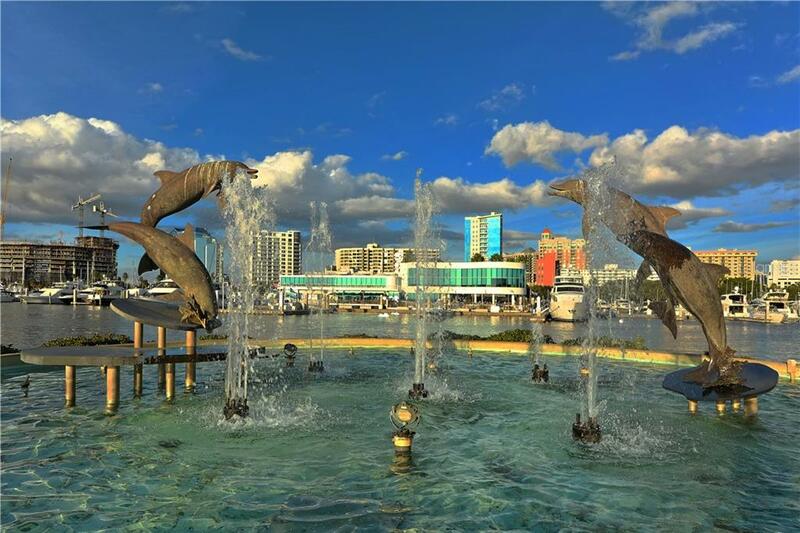 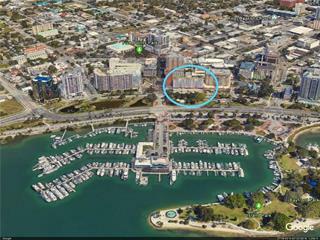 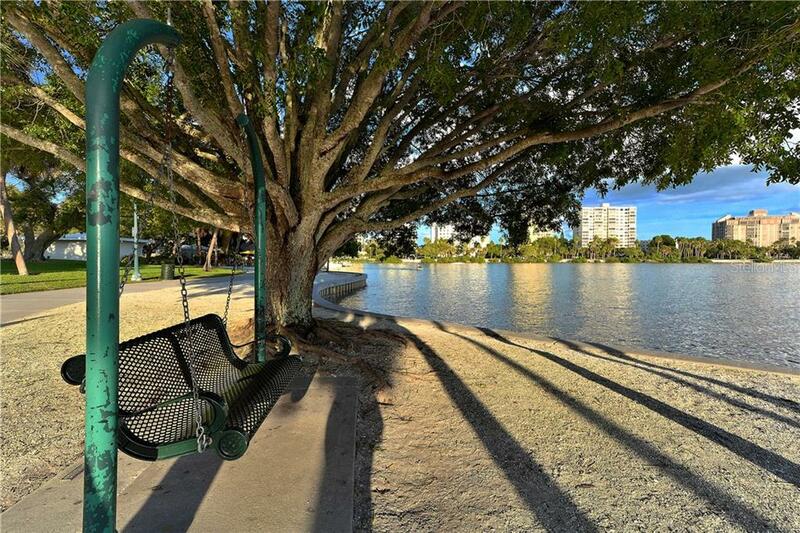 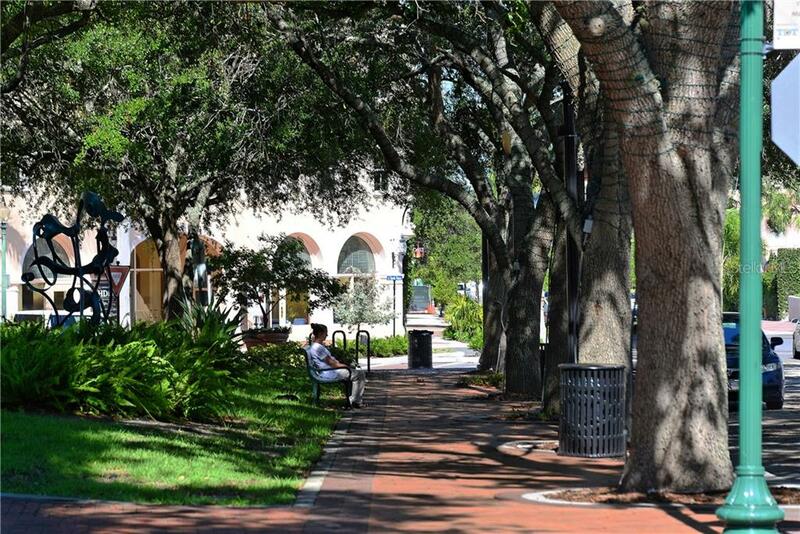 This prime downtown Sarasota location is perfect for walking to all the cultural venues, art galleries, boutiques, festivals, farmers markets, and restaurants. 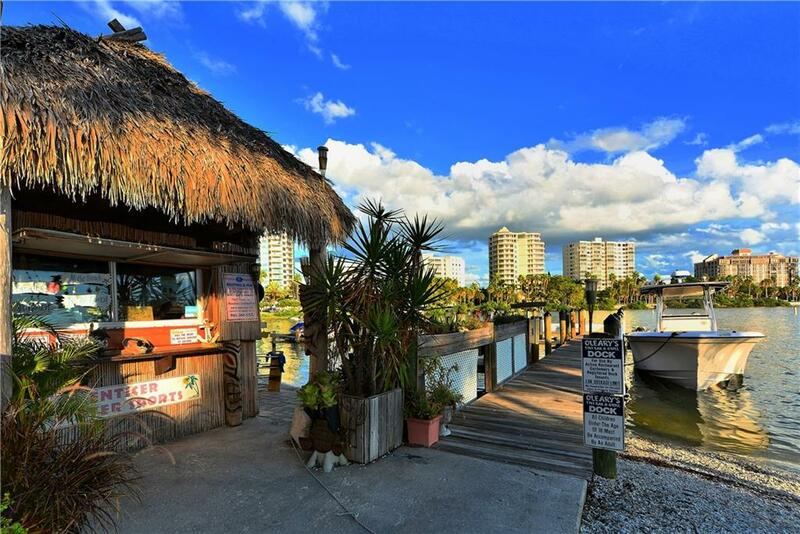 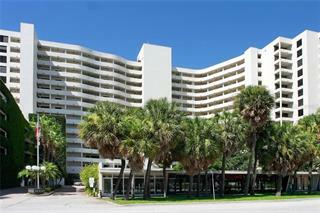 Only a 5-minute drive to St. Armands Circle and Lido Beach. 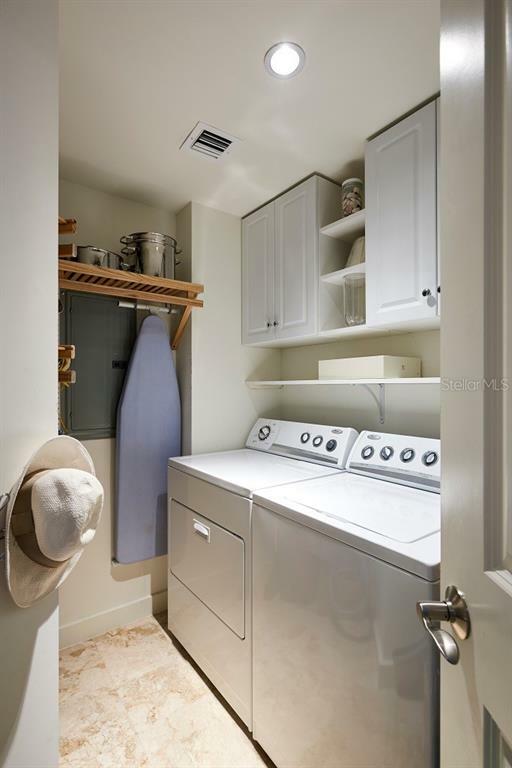 Unit is vacant and available immediately.